Philadelphia's best Lexus Service Department! If you're a proud Lexus owner, you'll want to do everything you can to ensure your prized vehicle stays in excellent condition for years to come. That's why the team at Wilkie Lexus is pleased to offer a top-notch Lexus service center for Philadelphia-area drivers. When you're searching for "Lexus service near me," our Greater Philadelphia Lexus service center can be trusted with your car's maintenance and repairs. Our team of Lexus-certified technicians will use a combination of their experience and advanced equipment to diagnose and repair any issues your car may be having. Don't wait to schedule an appointment at our Lexus service center! 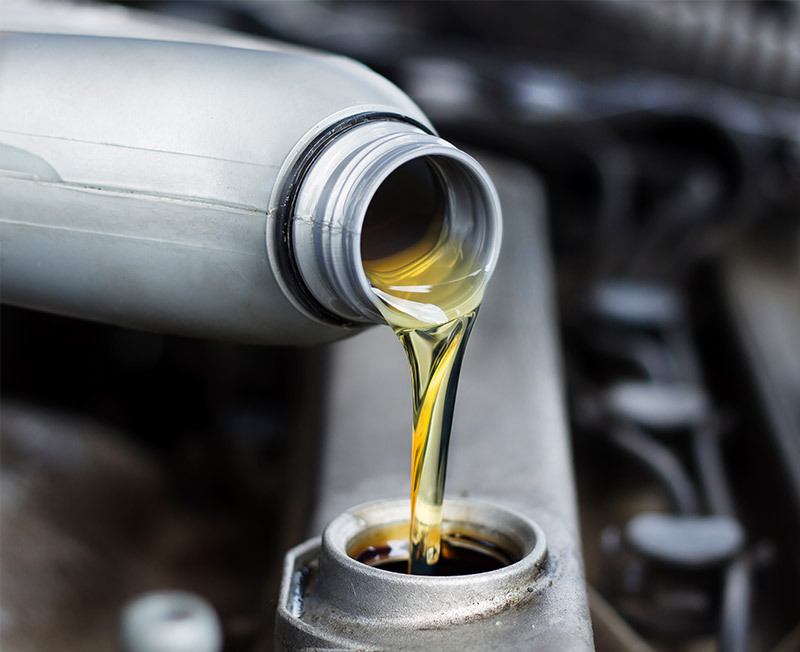 When your Lexus needs an oil change, you can trust the team at Wilkie Lexus to complete your service and have you back on the road in no time at all. Not only that, but we can handle all your routine Lexus maintenance at our Lexus dealer near Philadelphia. Whether you're looking for Lexus battery service or Lexus brake repairs, you'll find our Lexus-certified mechanics have you completely covered. We'll always complete your Lexus service in a timely manner, allowing you to continue about your day with minimal interruption. Whether your Lexus needs service or more extensive repairs, Wilkie Lexus is on the job. Our team can tackle your toughest car repairs to keep your Lexus running like new for miles to come. Need to replace brake components? We'll ensure you drive home safely. Is your Lexus heating system or A/C not working properly? We'll fix it right away. Schedule your Lexus repairs today. It's easy to get to Wilkie Lexus from Philadelphia! Just take the Ben Franklin Parkway and I-76 West to Presidential Blvd in Bala Cynwyd. 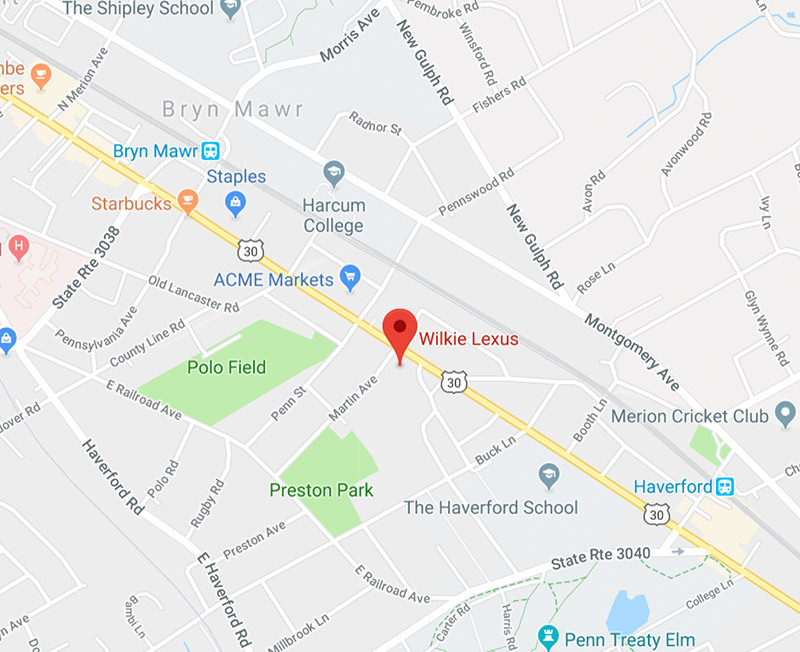 Then, take St. Asaphs Ave to Conshohocken State Rd and take Montgomery Avenue to our Lexus dealership in Haverford, PA. Get directions to Wilkie Lexus.